» When Do Twins Start Playing with Each Other? When Do Twins Start Playing with Each Other? What is better than the feeling parents get the moment they find out they are having a child? It is when they find out they are having a twin pregnancy or multiples pregnancy! The very moment they realize it, they will already form some hopes and dreams for their twins and look forward to how they are going to treat each other in the future. If the twins are identical, will they grow up similarly not just in looks, but in personalities as well? If they are fraternal, how are they going to be individually different? Can they tell them apart? Will they share toys and learn together? Will the twins grow up like best friends? Will they have each other’s back in every difficult situation? These are just normal questions parents ask themselves the moment it dawned on them that they will be raising two children at the same time. But when do twins really start playing with each other? Here are some interesting facts about how twins interact with each other. Since twins share one uterus, they kind of have to learn how to share a temporary residence and the ration of nutrients. According to multiple studies that include 3D ultrasounds, twins start to reach out and touch each other in the womb starting at about 14 weeks. At about 18 weeks, they touch each other more often. Thanks to technology, researchers can see clear images, distinct movements, and well-defined gestures in the womb, even if the mother cannot feel it yet. Kicks and deliberate movements of the twins can be felt earlier than singletons because they share one uterus, probably starting at about 16 weeks. Twins do not have the same DNA and they have their individual fingerprints, but they are somehow in-sync with each other from the moment they were born. This is probably because they share a deep connection since they were conceived. Parents have to keep them in-sync growing up to make it easier for the whole household to take turns in looking after them. This starts at birth. Parents should begin setting a healthy routine for the twins not only for feeding but most importantly when putting them to sleep. Imagine how exhausting it would be for parents if each twin has their own schedule for feeding and sleeping. The training will help them establish a schedule that they will take until they grow up. Toddler years is an exciting time for parents. This is the time when babies are starting to become a little bit independent as they already have an established schedule. They are starting to wonder about their environment, and be able to interact with people. For twins, parents would start to notice that their interest in each other starts to blossom. It is when the real fun begins. Twins start to actually play with each other. Parents would notice that when one crawls away, the other one would follow. Or if one is playing with a toy – for example, a baby walker – the other twin will form an interest in that particular toy as well. Sometimes, people would even think they have their own language because they seem to understand each other’s babbling noises. This is a heartwarming moment for parents. It is entertaining to watch twins happily interact with each other. Although they were already social in the utero, toddler years is the time that they actually learn important social skills before they even attend kindergarten or play school. So if we are being literal, even though twins are aware of each other’s presence since their time spent in the utero, the actual time that they start to play with each other is during their toddler years. They learn the art of sharing toys, negotiating, and other social skills. These facts lead experts to believe that twins have the social advantage or an edge over singletons. Having an instant playmate, twins have continuous practice being social. They become more confident and more socially aware than singletons of the same age. Since twins learn how to share earlier than their single-born counterparts, they become more seasoned in the art of forming relationships. Parents can easily encourage their twins to build more friendship and to express their feelings in the process through mingling with other kids and cooperative play. Other children could actually benefit from twins’ already learned social skills. If you put twins in the playroom, you would notice that they somehow initiate playing and teach other kids some tricks and treats. Of course, like in most things, it is not always rainbows and butterflies. Siblings fight, and twins are not any different. Parents should learn how to cope when this happens. Sure twins play, kiss, hug and cuddle each other. But they also hit, bite, and fight with each other over everything at times. Having a built-in buddy may sound great, but it can also be complicated at a time when there are disagreements and tensions. The fighting could even be more intense because as twins, most parents tend to make them share the same room, the same set of toys, and almost everything. Coping is either a hit or miss at the beginning. It is a trial and error. 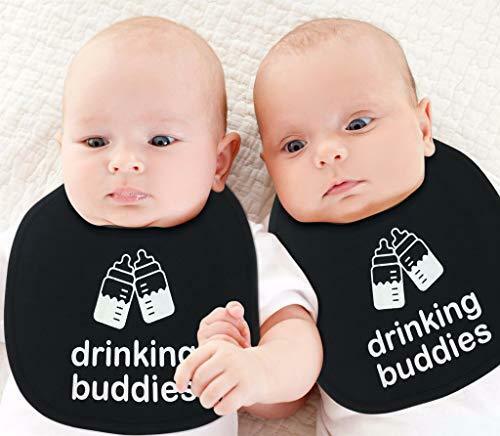 Parents would soon learn how to calm one or both twins down when necessary. As every individual is different, every approach should also be different. What works for one family may not work for another. Parents should always practice neutrality. Twins should not get a feeling that favoritism exists. Each twin’s feeling should be validated and acknowledged without the parents intervening too much. There should be set boundaries and respect, and communication to both twins should be open. In short, parents should always be equal and fair. Having a child is a blessing, but having twins is something really wonderful. It may not be fun all the time, but seeing each twin start to form a bond and play with each other is very rewarding and makes everything all worth it.